Relax! It’s only a photo. Not everyone is born naturally photogenic. Let’s face it. Most of us are never happy when we see ourselves in photographs. Most of us freeze up at the thought of getting our photo taken which makes trying to put your best foot forward in the very visual world of social media and websites difficult. Anyone looking at your online professional image is judging you by the quality of the image in front of them. Appearances count when you are trying to make a good impression. When we take your photograph, we believe a great shot is all about having you relax in front of the camera. We want you to loosen up and behave naturally. Sometimes this takes a bit of time. Even for a single head shot we recommend at least 45 minutes of shoot time. If you are very uncomfortable at the thought of having your portrait taken then we can use this amount of time to get to know you, make you feel comfortable and make sure we get your best angle. The smiles become too forced and stiffness in posture sets in and the photo will not appear natural. A recent client commented about the process. My whole life I have been convinced that, contrary to the old adage, the Camera does indeed lie! I do not take a good photo! 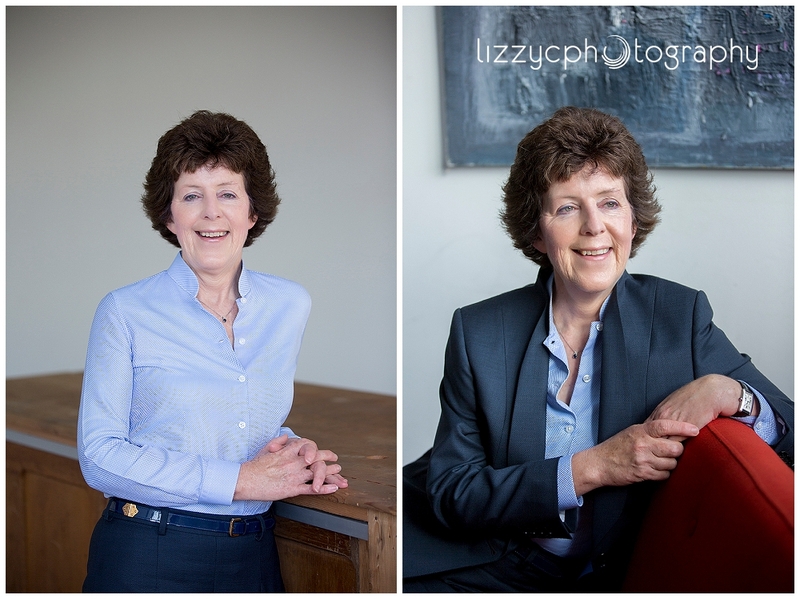 I think the reason Lizzy’s portraits work is that she makes me relax and so, instead of a forced, almost self conscious look, she manages to bring out a more natural expression which in turn improves the outcome. Here at Lizzy C Photography, we like to think we are experts at capturing just the right look to showcase our clients and the work they do. If you think your business image could do with a lift, then contact us now book in for a Business Profile on our next Business Portrait Shoot Day. And….. If you find it hard to get to the studio during business hours, our appointments times start as early as 7.30am.